Israel's forum of seven senior ministers formally decided Thursday not to hold peace talks with the Palestinian Authority in light of the Fatah-Hamas reconciliation announced in Cairo on Wednesday. Israel's forum of seven senior ministers formally decided Thursday not to hold peace talks with the Palestinian Authority in light of the Fatah-Hamas reconciliation announced in Cairo on Wednesday. "If the situation changes and Hamas alters its ways and recognizes Israel, then we'll see," a senior political source was quoted as saying. "In the meantime there will be no talks or negotiations with the Palestinians until the picture becomes clearer." PA president Mahmoud Abbas has blithely insisted the PA will negotiate with Israel despite Prime Minister Binyamin Netanyahu's outrage over the Fatah-Hamas deal. "It's either peace with us or peace with Hamas,"
“Sunday, May 15th To commemorate the Palestinian exodus day 1948 (Nakba) when well over 750000 Palestinians were forcibly expelled out of their home land by Israel, similar number of Thousands angry Arab protesters from Egypt, Jordan, Syria, Lebanon along with their Palestinian brothers from Gaza and the occupied west bank will advance toward Israel in what they call, the third intifada” Now take a look at the photo above and see who God said is going to come against Israel. They are exactly the same nations! Is it possible that May 15 could light the fuse for the Psalm 83 war? Watch with me and see. If it doesn’t happen during this week, we know the birth pain sign is telling us it is very close. Early today Silver was $48.14 up 14cents from yesterday. Gold $1.548 up $12.00. By the end of the day Silver hit $48.55 up 92 cents. Gold was up $25.40 with a new record high of $1,557.00 an ounce. Buy it for anything but the BUY price…! 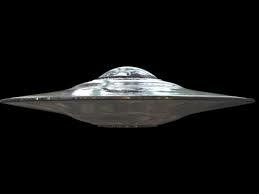 Last year I told you to watch the news because you will hear a lot of news reporting on UFO’s. Jesus warned us that we would see signs in the sky. The video below gives you a good look at many of these reports. Do no be fooled by these events or allow your self to be deceived. This is what I wrote you in my September 25, 2010 post. Prophecy Sign: Matthew 24:7 war and rumors of war and Kingdom against kingdom. Also the warning of the Psalm 83 war. “By issuing this call they [the Muslim Brotherhood] have acknowledged that they are a power that is in charge of the processes in the country," al-Abdullah said. "On the other hand, that fact that their call has appeared at a time when the West is increasing pressure on Syria means that they are going on the same plan." “Egyptian FM Elaraby tells Al-Jazeera that Gaza crossing could be opened within 7 to 10 days; "steps taken to alleviate suffering of Palestinians." “The opening of the crossing would allow greater freedom of movement for people on both sides of the border, as well as goods in and out of Gaza without Israeli permission”. I truly believe the Lord is showing His watchers the time of the Lord is upon us. Now that you have seen what I warned today in my video, watch the video below and you will see the Lord has given the same message to PropheticSeer. I don't think this is a coincidence. Here is the fasts team reminder. Our fast for the Sudan mission headed by Pastor Titus will begin on April 30, 2011. Frank DiMora and Clint McKean will begin the fast on the 30th. Please make a note of the day you will be fasting with us. Pastor Titus in brown suit jacket. Prophecy Sign: Luke 21:11 “There will be great earthquakes, famines and pestilences in various places, and fearful events and great signs from heaven.” Zechariah 12:3 tells us the nations who burden themselves with Jerusalem will be cut in pieces. Genesis 12:3 warns of a curse from God on anyone who curses Israel and Joel 3:2 says God will destroy anyone who divides the land of Israel. Because of what I do people often ask me what do I think is happening to America. That answer should be evident if you know the Word of God. Review the policies of the US toward Israel and it should be clear why the United States is being carved up by all these record breaking storms and the economic crisis. The current US policy is to divide up Israel for the PLO and give East Jerusalem back to the PLO as their future Capital of the State of Palestine. As long as these policies are being pressed on Israel America will continue to find herself under the curse of God and her decline from power will keep increasing until she is no longer a major player on the world stage. Knowing what God showed Daniel about the last world empire it is safe to say that the US will not change her present course on Israel, and she will be cut into pieces as the Prophet Zechariah shows us in verse 3. Now let’s put all these warnings together and hopefully you will see what the Holy Spirit is trying to show you. At 9:37 am the price of silver has reached a new high of $48.92 an ounce. There are two very important things you need to understand about the above news. First of all, the EURO is the currency of the European Union. The European Union is the Western leg of the old Roman Empire. Jesus warned that just before He comes back the old Roman Empire would again rise up. Take a look at what nations are in the EU and you will see they are the same nations that used to be in the old Roman Empire. As the US dollar dies off, the EU euro is getting stronger. While it is true the EU has its own economic troubles we know at the end of the day it will be either the Western leg of the old Roman Empire or the Eastern leg that will rise up and fulfilled every word Jesus warned about it. The second important fact is what is happening with gold and silver. Why is gold and silver skyrocketing to levels no one has ever seen before? As the dollar dies it will continue to push up the prices of both these metals. If you don’t know anything about prophecy you wouldn’t know that Jesus in Revelation 18:12 told us that people would be weeping over the loss of their gold and silver, and many other items He lists in that verse. We already now what to expect in the future and therefore we know that the current prices of gold and silver are just the beginning of these metal up ward trend. When will these prices reach there max? Since Jesus shows us that He will take them away from the people during the tribulation period we know that it will be after the Church is taken away from the Earth, and the tribulation is going on that the prices of gold and silver will have reached the max. You see, the true Church will not look to gold and silver as her treasure, they will have seen the Messiah Jesus Christ as their true treasure and they will be basking in their treasure in heaven while the rest of the people will be on Earth running from the Antichrist. Where will you be? Prophecy Sign: Revelation 7:15-16 and Rev. 16:8-11shows us many signs of of which include the intense heat from the sun, the lack of drinking water, and people becoming hungry. Taking what Jesus has warned us I in turn has repeated these warnings and asked you to watch the news for these signs. Here is just a sample of what is going on. 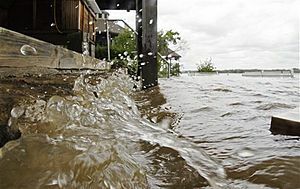 “KANSAS CITY, April 28 (Reuters) - A devastating drought intensified across Texas over the last week, with high winds and heat causing "massive crop losses," with little relief seen any time soon, weather experts said Thursday. The latest report from a consortium of national climate experts, dubbed the Drought Monitor, said drought worsened along the Texas border with Oklahoma, as well as in western, central and southern Texas. Ranchers were struggling to feed and water cattle, and wheat farmers were left to watch their crops shrivel into the dusty soil.” With all the news around the world showing wheat crops are being destroyed by intense heat, droughts, floods, and new wheat killing diseases, and locusts its no wonder Jesus in Revelation 6:6 tells us that people will be working all day long to buy a quart of wheat. Keep watching the news and you will see as the wheat crops are killed off the prices will go out of sight. Jesus words are and will always be 100% fulfilled, and in time you will see this to be true. Prophecy Sign: Events leading up to the war against Israel as seen in Psalm 83. “Rival Palestinian factions Fatah and Hamas have reportedly reached an agreement to end their four-year rift by forming a caretaker government and holding new elections next year, according to Palestinian officials and a statement from Egypt's intelligence service, which helped broker the talks.” Here is the most important part of today's report. 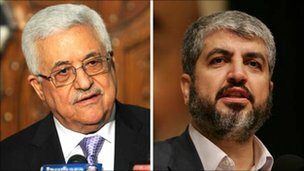 “Palestinian Authority President Mahmoud Abbas and Prime Minister Salam Fayyad are also eager to end the strife as they prepare to ask the United Nations in September to recognize Palestinian statehood” Don’t forget the PLO factions think that in September the UN will take action to divide up Israel to make a Palestinian State. Not only will this lead to the Psalm 83 war but you will also see the curse of God fall on all the nations who attack Israel. Now that these PLO factions have come together we are one more step closer to the war. If you are new to prophecy, read Psalm 83 and you will see that these are the same people God said would go after Israel. “Israel immediately said that the Palestinian Authority could not have peace with both Hamas and Israel. Israeli Prime Minister Benjamin Netanyahu said: "I hope the Palestinian Authority will make the right choice - peace with Israel." Hamas has carried out bombings and rocket attacks against Israel for years and does not recognize its right to exist.” Last night I was watch the BBC nightly news. One of the reporters said something that I totally agree with. The reporter stated the agreement that patched up the Fatah and Hamas factions means the Middle East peace talks are now dead! You can see this will be the case by what Benjamin Netanyahu said today. Knowing what God has shown us concerning the Psalm 83 war, and knowing that Paul warned that sudden destruction would come while they are calling for Peace and security we know that the Palestinian Authority will stay on course with Hamas. Many people probably won’t pick up on the importance of the agreement signed by the two factions in Cairo. Psalm 83 points out that Egypt will join the PLO factions when they attack Israel. The road to the Psalm 83 war is being laid out, and most of the world is void that God has spoken to us in detail about this coming war. Some of you may have not seen this news from yesterday but look at what is suppose to happen on May 15, 2011, and look at the nations who are suppose to do it! All the nations in the above report will take part in the Psalm 83 war. Now I want to turn my attention to Iran, which is another nation God warns us about in Ezekiel chapter 38. Iran is one of the nations that God is going to destroy for coming against Israel and Jerusalem. For years Iran has been trying to get the PLO and its bordering nations to attack Israel. After the news broke that the two PLO factions have joined forces again, look at what came out of Iran. “The unity agreement between Hamas and Fatah is a "blessed, positive move," Iranian Foreign Minister Ali-Akbar Salehi said Thursday according to the IRNA news agency.” “Salehi also said he hoped that the reconciliation agreement would "lead to acceleration of the developments in the Palestine region and to acquiring great victories in confrontations with the ruthless occupiers." Salehi doesn’t know this but the confrontations is speaking about have already been written down in the Psalm 83 and Ezekiel 38 wars. For any of you who do not believe Israel will win both these wars, all I can tell you is stand by and remember what you were told by God in His Word! Today David looks into the eyes of Christ. We will miss you Brother. David Wilkerson, the founding pastor of Times Square Church and World Challenge Ministries has died on Wednesday. The 79-year-old pastor was widely known for his spiritual work as well as the author of The Cross and the Switchblade, a very popular book in evangelical history that influenced many people. An accomplished speaker and preacher, Reverend Wilkerson is known in many celebrity circles. The confirmation of the passing was posted on the Times Square church website only hours ago with the heaviest of hearts. Just in case you missed this news you may want to keep this in mind when shopping. "American pastor sounds alarm on supermarkets, restaurants"
"When you bite into a delicious pizza, succulent sandwich or luscious lamb chops, are you possibly eating food that has been sacrificed to idols? An outspoken American pastor says yes, and he's sounding the alarm for Christians to be aware of the Islamic influence he calls "backdoor Shariah" now nibbling its way across the fruited plain. At issue, says Mark Biltz of El Shaddai Ministries in Bonney Lake, Wash., is eating food that's "halal," in other words "lawful" or "permitted" for the Muslim diet. Muslims join many Jews and some Christians in avoiding the consumption of certain animals such as pigs and birds of prey, but those of the Islamic faith also have their meat blessed in the name of their god, Allah. 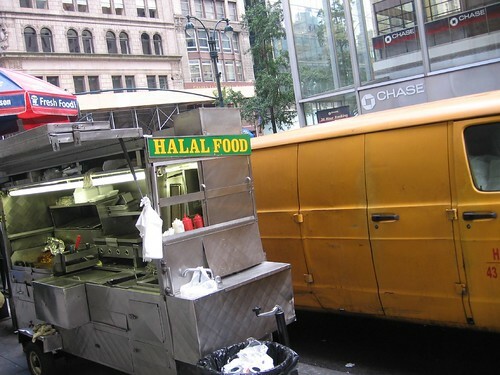 "From the Christian standpoint, Allah would be an idol," Biltz told WND"
Clearly the main problem with 'halal' foods. b) throat is slit and the blood drained out while a prayer is said to 'allah' (purposely left un-capitalized) proclaiming him to be the greatest. Imagine that. This has to be done for each animal too (a cow is one thing but think of the number of chickens killed each day!!!). Since we Christians recognize allah of the koran as Lucifer; it cannot be overlooked that this food is thus sacrificed to an idol (false god). Are you eating food sacrificed to idols? from El Shaddai Ministries on Vimeo. Prophecy Sign: Not only is America on the road to fulfilling Revelation 6:6 but her fall from power will speed up the process of reaching this prophecy. “Around 10 million American households -- or one in every four families that rent their homes -- could have to choose between paying rent, buying groceries or keeping current with bills, according to a report released Tuesday. If you are new to prophecy and don’t make the connection between this news and Revelation 6:6, you need to understand that Jesus showed us people who live during the tribulation period will be working all day for one small meal. Do you think the cost of living is bad now? If you do I promise you this, you are not going to like what you see in the tribulation! Things are going to get so bad, crime over food will shoot through the roof. Why did Jesus tell you all these things? Do you think that He would leave you all this bad news with no hope or no escape from the coming tribulation? Jesus’ warnings were given to us so that in believing in Him we would receive Him as our Lord and in doing so He would remove us from the time of this trouble in the same way He did in the past before He passed judgment on the unrighteous people like during Noah’s generation and with Sodom and Gomorrah. I will repeat the same message Noah preached to his generation. Unless you repent and turn to God’s Salvation you will be left behind to pass through the tribulation. For Noah’s generation it was the worldwide flood. However, for this generation it will be your casting into the 7-year tribulation to face the Antichrist and the God’s wrath for rejecting His love gift, which was the death of Jesus Christ on the cross. Jesus wants to raise you up as He did himself so that you may have eternal life. Will you say yes to Him or reject His call to save your soul? Prophecy Sign: When you read Psalm 83, and especially verse 4 it says “They have said, Come, and let us cut them off from being a nation; that the name of Israel may be no more in remembrance.” “PA Carries out Ahmadinejad’s Threat and Wipes Israel Off Map”. “A new Palestinian Authority TV program recognizes all of the Land of Israel – from Tel Aviv to the Negev – as "Palestine," belying PA Chairman Mahmoud Abbas’ “recognition” of Israel. The Palestinian Authority has carried out Iranian President Mahmoud Ahmadinejad’s threat to “wipe Israel off the map” and literally has done so by displaying maps of “Palestine” covering all of Israel at the same time its leaders talk about “two states for two people.” PA Chairman Mahmoud Abbas, head of the Fatah movement that controls the PA in Judea and Samaria, has in effect established a “one-state” solution in Fatah offices and in Palestinian Authority schools and offices. 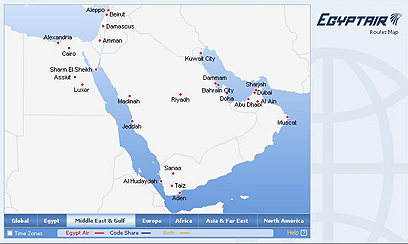 The Palestinian Media Watch (PMW) has documented that professional unions and private PA groups display maps showing a rifle and a quill over “Palestine,” from the Lebanese border in the north to Eilat in the south and from the Mediterranean Sea to the Jordan River.” The real intentions concerning the State of Israel can now be seen in a PLO video. When the PLO sees the future of Israel it doesn’t even see Israel at all, instead the land of Palestine. This has always been the goal of the PLO and now they are getting in Israel’s face showing them what they see for the future. In my March 24, 2011 post I showed you that Egypt has wiped Israel off the map in much the same way as the PLO has just done. The link to what Egypt has done is below. The bottom line is this, these nations are sending a message to Israel, and that message is the same message God warns about in verse 4. The time is coming when Egypt, the PLO, and the rest of the nations in Psalm 83 will actually try to physically wipe Israel out. If you are new to prophecy you have to understand who wins. God shows us Israel will not be defeated when the Psalm 83 war breaks out. In my post yesterday April 26, 2011 I gave you news showing Turkey warned Israel not to interfere with the 15-ship aid flotilla that would be heading toward the Gaza in May. I warned you that things could get out of hand if Israel attempts to stop the ships, and it could lead to war. It amazes me how things can change in one day. “Pro-Palestinian activists organizing the next Gaza flotilla said Tuesday they are having a hard time recruiting activists, vessels and crew members. Apparently many fear a confrontation with the Israeli naval commandoes after eight Turks and one Turkish-American died during an IDF raid last May onboard the Mavi Marmara, according to reports making their way to the political echelon in Jerusalem. The sea convoy was set to sail to the Gaza Strip in late May, the first anniversary of the raid, but it could be delayed, partly because it clashes with Turkish election campaigning. IHH officials, an Islamic aid group that operates the Mavi Marmara, announced they plan to postpone the flotilla until after the June 12 parliamentary elections.” It was a smart move on the part of the Palestinian activists as they know what would happen if the mess around with the Israeli IDF! It appears they came up with a good excuse not to challenge Israel. This is what I believe will happen while the PLO waits for the Turkish election to finish. The Pro-Palestinian activists will again begin to launch more rockets into Israel to keep the pressure on the stalled peace process, and to make sure the world sees Israel as an oppressor. Today we also read news that in May of this year there will be a march on Israel in much the same way as told place in many of the Middle East nations. This march is suppose to bring down Israel! Once again I must take time to warn everyone that if this does happen we may see the Psalm 83 war much faster than we think. Here is the news. Friday, May 13th In Egypt, the epicenter of the Arab world, the biggest Arab country and from Tahrir square at the heart of Cairo where the whole Arab spring has sprung and gained fervent momentum, this massive Arab intifada will be launched. Millions will gather once again in Tahrir square at the heart of Cairo but this time to call for all Arab-march toward Israel. In their march they will be denouncing the ongoing Zionist occupation of the Arabic land of Palestine and calling for internationally recognized independent Palestinian state over its legitimate pre-1967 borders with Eastern Jerusalem as its capital. Those fair Palestinian demands have been begged for by all ways known to diplomacy over the last 60 years. But since diplomacy has utterly failed the Arabs of Palestine and since politicians have granted them nothing except despair and Diaspora, they thought it was time they put their life into their own hands. And what could be more timely than this Arab spring, which a lot of Arabs could not see or rather imagine approaching its full bloom without Palestine included. This revolutionary plan that has been publicly posted on a facebook “cause” page and given the daring title “the third Palestinian Intifada” as there has been two Palestinian Intifada- uprisings- before. The first was sparked in 1987 and the second or what is known as the Aq’sa intifada in 2000, during both uprisings, Israel had to live through years of domestic unrest and worldwide condemnation of its apartheid and oppressive policy toward the Palestinians. But as this “cause” page managed to attract almost 300000 fans and incredibly growing number of visitors in just few days Israel grew restlessly nervous about it. And nervously restless Israel acted in response. What was worrying Tel Aviv is the fact that, so far, all Arab uprisings have been kicked off on facebook pages. So, under the boiling situation in the Arab world this facebook call couldn’t be underrated nor neglected." This is going to be very interesting to say the least. Just in case the PLO try's to pull a fast one and try’s to make Israel think the May 15-ship aid flotilla isn’t coming the better read what Israel’s Prime Minister ordered today. The videos below are very good in giving you information on the rumors of war. You will learn why Iran’s leaders is pressing to bring on the Islamic savior who according to the Bible describes him as the Antichrist . Pay close attention to what is said about Iran’s President at the 14:50 mark in the first video! 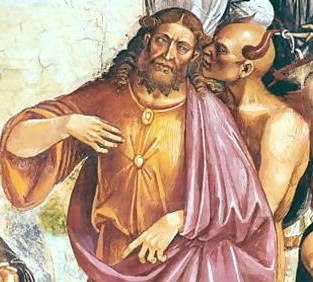 Jesus warned about the false prophet that would come and lead the way for the Antichrist. Prophecy Sign: In Matthew 24:7 you see the sign of famine and pestilence, and Luke 21:25 address the storms as we see the roaring of the seas and waves. There are many things that bring on famines. One of the things is when crops get wiped out, and there are many factors that can lead to crop destruction. One of the many things that cause this destruction is weather conditions that bring on severe storms that bring on massive flooding which in turn wipes out crops. We are witnessing these factors right now in the United States. I will address the storms and flooding later, but first let me show you a form of pestilence that could wipe out crops in the billions. 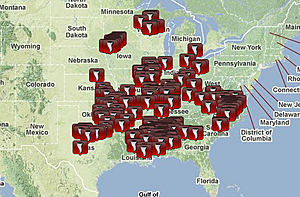 This image, courtesy of the National Weather Service Forecast Office in San Diego, Calif., shows tornado reports April 1-24, 2011 in the central and eastern part of the U.S.
April 2011 has been a horrific month for severe weather so far with more than 600 reports of tornadoes, more than 40 tornado-related deaths and unthinkable destruction. 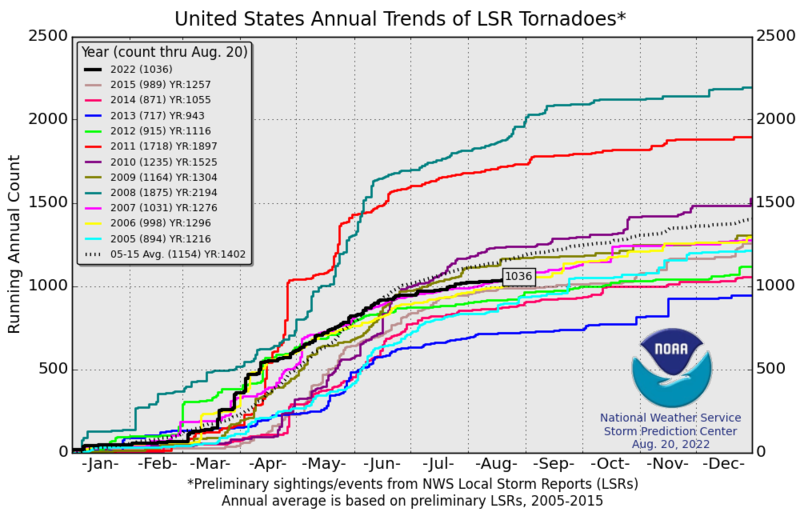 As the wild weather pattern continues this week, the month's total number of tornadoes continues to rise. There is a good chance that April 2011 will end up being the most active April on record for tornadoes. With May and June typically being the most active months of the year for severe weather, people are wondering if the trend will continue and make 2011 a record-setting year. The total number of tornado reports this month (through Friday) was up to 559, according to the Storm Prediction Center (SPC). At least 55 more reports of twisters have been submitted since then with 17 over the weekend and 38 Monday into Monday night. The preliminary estimate for number of tornadoes so far in 2011 was 766, as of Sunday, with about two dozen states affected. More than 100 tornadoes have been reported in both Alabama and North Carolina. The year that holds the record for the highest number of tornadoes is 2004 with a whopping 1,817 twisters. For people wondering if 2011 could set a new record, this year has a long way to go. 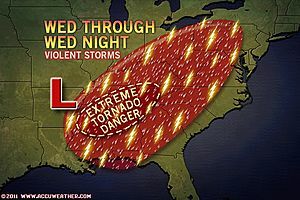 “The latest storm pattern has brought in about 40 reports of tornadoes in five states: Texas, Arkansas, Louisiana, Missouri and Kentucky. Some areas in Texas were in the path of a tornado for the second day in the row. Golf-sized hail hit cars along Interstate 45 and damaged homes. Forecasters predict more flooding for today with 3 to 7 inches of rain expected from Arkansas to Ohio, while areas such as Memphis, Tenn., and Louisville, Ky., could see heavy rain at times.” “The Mississippi, Ohio and Black rivers are overflowing this morning after a deluge of as much as 15 inches of rain in five days.” The rains have not only covered up the streets, and homes but have washed out the crops as well. The amount of crop damage isn’t know yet but it will be huge, and the storm season is just now getting under way. At a time when America is trying to rebound from massive debt these storms have caused massive problems, and the loss of property and insurance costs will be in the hundreds of millions. Prophecy Sign: In Mark 13:8 Jesus warned us about the birth pains. I think the chart will speak for itself. “KANSAS CITY, Mo. — All the warning sirens echoing across the Great Plains, Midwest and Southeast this month leave little doubt that the tornado season — which has plowed a trail of destruction through communities from Oklahoma to Wisconsin to Georgia — is off to an unusually busy start. So far this year, tornadoes have killed 41 people and torn apart countless neighborhoods and, this weekend, one major airport. Now, as the country braces for several more days of potentially violent weather, meteorologists say the number of April tornadoes is on track to top the current record. 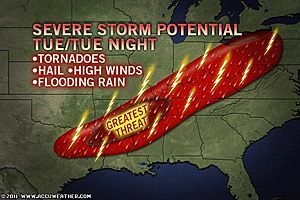 There have been, according to preliminary estimates, about 250 tornadoes so far this month and, in all likelihood, more are still to come, said Greg Carbin, the warning coordination meteorologist for the National Weather Service. “It’s unusual but it does happen,” said Howard Bluestein, a meteorology professor at the University of Oklahoma who specializes in tornado research. When you read the news below and watch the video you will see Timothy’s warning come to life. “A shocking, ambush-style attack on a food deliveryman was caught on tape in Morningside Heights. Police are hunting for the teen suspects, Jay Dow reports. The set-up was simple: police say three teenage boys phoned in a Chinese food order Friday afternoon. They went up to the sixth floor of the building at 40 Morningside Avenue, hid in a stairwell next to the elevator, and waited for the deliveryman. As soon as the deliveryman came out of the elevator, the lurking teens attacked. The deliveryman was knocked to the ground as the kids punched and kicked him repeatedly. The boys tried, but failed, to steal cash from his pocket. As the teens fled, one picked up the food and threw it at the victim.” You are getting a glimpse of a world void of Jesus Christ! Prophecy Sign: Did you ever read where Jesus warned us that in the last days Christians would face Persecution for His names sake? This warning in found in Matthew 24:9. At a time when the world needs more of Christ and His teachings, those who preach Christ are being taken away. America is fast becoming a Godless nation. The video below is just one example of what I am addressing. Every day the spiritual war rages on. Preachers are taken off the streets for just reading the Word of God and laws that govern what you can and can not say concerning teachings found in the Bible are being challenged in the courts. Here is a bid of good news for those who want to follow what Christ teaches. Why in the world does a teacher have to teach on homosexuality in the first place? Since when did this subject become part of the schools curriculum? The US schools are falling behind the rest of the world in Science, and Math and they have to be teach something that should be address outside school? All this does is show us how close we are to Noah’s generation and the people who lived in Sodom and Gomorrah. Here is more news showing you Jesus warning about Christians under fire is coming to pass. “Washington -- International Christian Concern (ICC) has learned that on April 21 four Muslims beat an evangelist to death and assaulted his pregnant wife in Worabe, Ethiopia, an area that is 97% Muslim. The Muslims lured Evangelist Abraham Abera from Kale Hiwot Church, his home and place of ministry, at 9:30 p.m. They told him that his friend was sick and needed his immediate attention. Abraham left with the men; they turned on him and began to beat him with rods. The minister's wife, Birtukan, saw the men attack her husband and ran to intervene, but the Muslims beat her as well. Abraham died on the spot and his wife, who sustained a severe head injury, was left unconscious in the street. She was found and taken to a hospital in Butajira, where she regained consciousness on April 22nd and was able to recount the details of the attack. Birtukan spoke with an ICC source and said that she knew two of the attackers. She said that as the Muslims were beating her and her husband, they told them, "You (Christians) are growing in number in our area. You are spreading your message (the gospel). We will destroy you." Muslims belong to a religion but they do not serve the same God as the One Jesus Christ points to. Muslims point out that they believe Jesus is a true prophet. Notice that they do not honor Christ with their hearts but only with their lips. If they truly believed Christ as they say, then instead of killing Christians they would treat them as Brothers. The God they serve is one who destroys, this is the true Lord’s enemy. What I say to these men who killed this Pastor is the same thing one in the council, a Pharisee, named Gamaliel who warned to watch out what you do to these men. “Therefore, in the present case I advise you: Leave these men alone! Let them go! For if their purpose or activity is of human origin, it will fail. But if it is from God, you will not be able to stop these men; you will only find yourselves fighting against God” (Acts 5:38-39). If you truly believe Allah is God then why are you fearing these small bands of men who teach Christ? Is it because you believe them and your are angry, or has Satan filled your hearts with so much haltered that you are blinded by the truth? Before posting the news today I want to thank the following people for blessing me. Deith Dickerson, Paul Brooks, and Ed T. in Fremont Ca. Prophecy Sign: Zechariah 12:3 is a prophecy that warns us Jerusalem will be a burdensome stone to the nations in the last days. Jerusalem has been the center of burden to all who have tried to come up with some type of peace deal for the Middle East. Once again this city and news about the peace plan have appeared in the headlines. “The Prime Minister's Office issued a statement Tuesday bluntly denying a report that Binyamin Netanyahu intends to cave in to extreme Arab demands over Jerusalem and demographics. A Kuwaiti newspaper, Al Jarida, reported that Netanyahu will present a diplomatic plan next month that includes Israeli acquiescence to a preliminary "Palestinian" with eastern Jerusalem as its capital. The paper also claimed that Netanyahu agreed to hand over the Temple Mount and other holy places to international sovereignty.” This same report points out that Netanyahu says this news is untrue. “There was never any secret meeting between Attorney Yitzchak Molcho and Saeb Erikat," the PMO said, "and therefore it is also clear that the alleged contents of the meeting have no basis in reality." I must admit, if Israel's Prime Minister Binyamin Netanyahu were to ever give the Temple Mount area away to the PLO it would be seen as an act like what Judas did to Jesus Christ. In any case, this news does show us that this holy city has in fact been fulfilling what God warned the Prophet Zechariah. You will hear much more about East Jerusalem as the top world leaders try to form a peace agreement between the Arabs and Israel. “Most Egyptians are in favor of annulling a peace treaty with Israel, according to a Pew Research Center poll released on Monday. The US-based think tank polled 1,000 adults throughout Egypt between March 24 and April 7, finding that only 36 percent would maintain peace. The percentage of Egyptians who support annulling the treaty (54%) does not vary amongst those who sympathize with Islamic fundamentalists and those who do not. However, those with lower incomes are less likely to support the peace with Israel than those with higher incomes.” For those of you who think the warning about what is to happen to Egypt is bull, all I can say is just watch the news. God has a perfect track record of fulfilling every word He has spoken. Is it possible that this flotilla headed for the Gaza could be what launches the Psalm 83 war? It is possible! If Israel does try and stop the 15 ships it could be a signal to the Arab nations that Israel must be stopped. The flotilla could cause a much wider problem will may end up in the Psalm 83 war. Keep in mind, Turkey’s main force will not be part of the Psalm 83 war. However, they could play a major role in bringing on the first war that still needs to be fulfilled. I am looking at it this way, if war does break out, Turkey will rebound at a later date along with the nations listed in the Ezekiel 38 war. Either way, we may be witnessing a real bad birth pain in May. Prophecy Sign:Luke 21:25 The freak weather continues with recorded breaking number of tornadoes continuing to cause complex problems just as Jesus warned us. If you stay with me and keep watching these signs you will hear much more news like this report this summer. Not only will Texas have been in a drought put other nations are in for a shock just like Texas. Christ in the Revelation tells you there is going to be major problems with the drinking water. As the sun bakes our planet the drinking water supply is also disappearing. Recent news has show us that “According to their research, climate change — that thing these twelve law- and opinion-makers refuse to believe exists — will result in a water flow decrease of up to 20% in the West's largest river basin. The Colorado, the Rio Grande and the San Joaquin are three of the rivers mentioned in the report, which said an 8% to 20% decrease in average annual stream flow is expected. Beyond the water shortage, the report also predicts temperature increases of 5 to 7 degrees Fahrenheit. Not exactly the kind of news that goes down well while lounging at the bottom of an empty swimming pool.” Look, I’m not asking you to believe me, or the scientists. All I am asking you is to look at what Jesus has warned you and look at what is going on. Each year these problems are increasing and shows us that Jesus remarks in Mark 13:8 concerning the last days birth pains are also coming to pass. Officials and aid workers in Somalia's Middle Shabelle region have raised the alarm over the plight of drought-stricken villagers urgently needing food and water” A week ago or so I told you that most of the reports coming out are telling us these are the worse floods, the worse storms, the worse droughts, and so on. Here we go again. "We are experiencing the worst drought we have seen in decades; since the beginning of March, we have buried 54 people who died from the effects of the drought, seven of them today [20 April],” said Ali Barow, leader of the small town of Guulane, 220km northeast of Mogadishu, the Somali capital.” Keep in mind, what I am showing you is only the tip of the iceberg in this type of news. Prophecy Sign: Revelation 6:6 is a warning from Jesus that people living in the tribulation will be working all day long for a small amount of food. You will work all day just for a quart of wheat. Here is what Jesus tells us. “Then I heard what sounded like a voice among the four living creatures, saying, "A quart of wheat for a day's wages, and three quarts of barley for a day's wages, and do not damage the oil and the wine!" Every week there is more news concerning the price hikes in food and it isn’t just in the United States but around the world. What happens in America however, does have a huge affect on the other nations especially the poorer nations. If the Americans find that they can hardly feed themselves the amount of funds usually sent out to help under developed nations will begin to dry up. This is already beginning to happen! Here is some news about the prices going up. Prophecy Sign:In Daniel chapters 2 and 7, and in Revelation chapter 17 you will see the prophecies concerning the last days revived Roman Empire. God revealed to us that just prior to His second coming the old Roman Empire would again become the last world power to control this planet under the leadership of the Antichrist. The Western part of the old Roman Empire is today’s European Union. These are the same nations that used to be in the first Roman Empire. There is also the Eastern side of the old Roman Empire that we are watching. These are the Islamic nations. Since the Antichrist is to rise up from the old Roman Empire you need to know what is happening with both parts of the old Roman Empire. Today I want to focus on the EU, European Union side. We know that the United States will fade off as a major force during the last days. This has to happen to make way for the empire Jesus warned us about. If you have been watching the news, you can plainly see that America is in the midst of a power shift that is steaming toward another depression. As America’s dollar fades the European Union’s Euro is surging again. “The euro struck a 16-month high against the dollar and the Swiss franc notced a record high versus the US unit Tuesday amid heightened investor nerves over this week's busy economic calendar. The European single currency hit $1.4653 in morning trade, the highest point since mid-December 2009, as many dealers returned from a long holiday weekend. 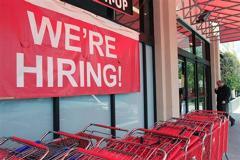 It later stood at $1.4619, compared with $1.4572 late in New York on Monday. The dollar meanwhile tumbled to an all-time low point of 0.8745 Swiss francs.” Keep your eyes on the US dollar, because as it’s value keeps dropping you will see Gold and Silver rise even more than it has. As the dollars dies you will also hear more news about nations dumping the dollar for a new currency. All of these things are signs of the last days. The system that the Antichrist is going to control is being forged together by many factors which include, the global financial crisis, the shift away from the US dollar, and the world’s massive debt burdens of which the US is one of the leading nations, Before it is said and done the nations in the old Roman Empire will have taken over the number one position of the US. Since we are only 5 days away from May, I want to issue a strong warning to all of you who have fallen in Satan’s trip in believing what false prophet Harold Camping is warning you. This weekend I drove past one of many bill boards that Harold Camping has put around the US. Knowing what Jesus has stated in HIs Word I can assure you the rapture of the Church will not take place on May 21, 2011! When May 22, 2011 comes and you see Camping was wrong again, it is my prayer that this time you will heed Christ’s words and leave the teachings of Camping behind. If you are part of this man organization and you stay on board with Camping, what you are saying to Christ is, I am not going to listen to what you said Jesus because men make mistakes. There will be many excuses why this date failed. Keep in mind, Camping is saying this date is 100% accurate. If you follow Christ instead of Satan you will be one of the people who will say, “Camping you prophesied in the name of the Lord and that thing which you prophesied in His name did not come to pass, therefore you are as God warns, a false prophet and I from this day forward will not follow your teachings. Let me tell you what is going to happen! Like the Jehovah’s Witness who stated God told them when Jesus was coming back and every date they proclaimed as coming from God failed! Did the members of the JW organization leave? No, these people choose to believe more lies and the excuses, and remained in the organization to continue to be taught by Satan’s workers. These words may seem harsh, but the truth is what it is. Either you follow what Christ tells you, or you follow Satan there is no third road. On the 22nd of May I hope you have enough guts, (boldness from the Holy Spirit) to call this number and tell who ever answers it to leave the Familyradio ministry. Prophecy Sign: Signs in the sky, don't be deceived by things that are not real. Most of America and the world is not ready for when the American dollar and her power dies off! Considering Jesus showed us the Revived Roman Empire would be th last world power, you better be on the look out for the prophecy to be fulfilled. The decline of America will be a major sign this last world empire is about to take hold. Below are signs of things to come. "BOSTON (MarketWatch) — The International Monetary Fund has just dropped a bombshell, and nobody noticed. For the first time, the international organization has set a date for the moment when the “Age of America” will end and the U.S. economy will be overtaken by that of China. The Wall Street Journal editorial page’s Steve Moore critiques the president's speeches attacking Republican budget plans.And it’s a lot closer than you may think.According to the latest IMF official forecasts, China’s economy will surpass that of America in real terms in 2016 — just five years from now.Put that in your calendar.It provides a painful context for the budget wrangling taking place in Washington, D.C., right now. It raises enormous questions about what the international security system is going to look like in just a handful of years. And it casts a deepening cloud over both the U.S. dollar and the giant Treasury market, which have been propped up for decades by their privileged status as the liabilities of the world’s hegemonic power.According to the IMF forecast, whomever is elected U.S. president next year — Obama? Mitt Romney? Donald Trump? — will be the last to preside over the world’s largest economy." "Weakness in the US dollar, which is causing everything to go up—including gas prices, food and stocks—is unlikely to go away soon as a selling frenzy hits the currency market. The greenback is approaching pre-financial crisis lows and threatening to smash through its all-time low when measured against the world's predominant national currencies. A combination of factors accounts for the weakness, with the Federal Reserve's easy-money policies, huge national debts and deficits and the consequential possibility of a debt downgrade because of the financial mess in Washington leading the way. "BEIJING, April 23 (Xinhua) -- China should reduce its excessive foreign exchange reserves and further diversify its holdings, Tang Shuangning, chairman of China Everbright Group, said on Saturday.The amount of foreign exchange reserves should be restricted to between 800 billion to 1.3 trillion U.S. dollars, Tang told a forum in Beijing, saying that the current reserve amount is too high. China's foreign exchange reserves increased by 197.4 billion U.S. dollars in the first three months of this year to 3.04 trillion U.S. dollars by the end of March. Tang's remarks echoed the stance of Zhou Xiaochuan, governor of China's central bank, who said on Monday that China's foreign exchange reserves "exceed our reasonable requirement" and that the government should upgrade and diversify its foreign exchange management using the excessive reserves. Meanwhile, Xia Bin, a member of the monetary policy committee of the central bank, said on Tuesday that 1 trillion U.S. dollars would be sufficient. He added that China should invest its foreign exchange reserves more strategically, using them to acquire resources and technology needed for the real economy." Signs of Revelation 18:12 coming into play: "Gold hit a record high, while silver surged more than 5 per cent to within a whisker of its all-time peak, as the dollar continued its decline and inflation concerns drove haven flows.Driven also by government debt concerns, gold rose 1 per cent to $1,518.20 a troy ounce, the seventh-consecutive trading session in which it has hit a record high. Silver surged 5.5 per cent to $49.17 an ounce, having hit a 30-year high of $49.80, within sight of the landmark $50 level." A DAD-of-four who split up a fight in a McDonald’s was shot dead moments after being told he wouldn’t see the morning. Raymond Mitchell, 34, had only popped into the restaurant to buy a hot chocolate. But he apparently caused offence after splitting up two men fighting in the queue.One of them, who had several gold teeth, shouted at Raymond: “You are gonna die tonight, you are not gonna see the morning.”The thug is then said to have phoned an accomplice to fetch a gun, yelling into his mobile: “Bring me that thing.” Raymond left the 24-hour McDonald’s but was chased into a cul-de-sac. The gun was then delivered and Mr Mitchell was beaten and pistol-whipped before being shot three times in an alley in Brixton, South London, at 6.50am on Sunday. Raymond, nicknamed Brown, was taken to hospital but died hours later. “A spokeswoman for European farmers federation Copa-Cogeca said it was too soon to draw conclusions, but Belgian farmer Guy Franck, who heads a dairy collective in French-speaking Wallonia, says gut instinct tells him worse is yet to come. 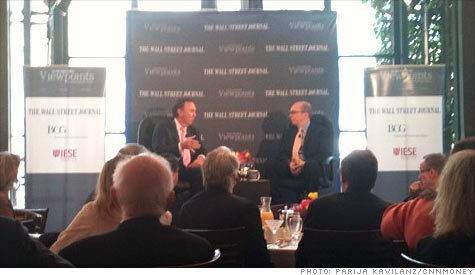 "I've been in this game for 30 years, I've never seen a month of April like this one," he said. "Everything with short roots is seriously dehydrated," he warned.” There are two reasons why the Guy Franck’s gut feeling will be confirmed. First of all, the European Union has taken the position with the United States in trying to divide Israel up into two States. This has brought on the Lord’s curse as promised by God in Genesis 12:3, Joel 3:2 and Zechariah 12:3. Second, Jesus said the last days signs would be seen as birth pains. For this reason alone we know for sure things will in fact get my worse. 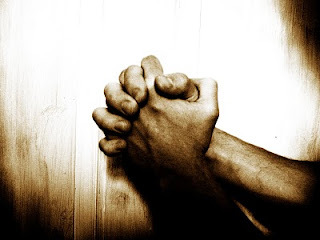 Europe isn’t the only ones asking for prayer to end the drought. Texas has been in one of the worse droughts in their history. “Perry, a Republican, sought increased federal help in combating the blazes last weekend and urged Texans to ask the same from a higher power over the Easter holiday weekend. "Throughout our history, both as a state and as individuals, Texans have been strengthened, assured and lifted up through prayer," Perry said in a statement. "It is fitting that Texans should join together in prayer to humbly seek an end to this ongoing drought and these devastating wildfires." Are you beginning to see the big picture yet? “At least 76 people were killed and dozens were injured when Syrian security forces fired live bullets and teargas to disperse “Good Friday” protests in several cities, witnesses reported. We see the same thing taking place in Libya. Will Assad and Qaddafi get away with this? We know for sure that both Syria and Libya will be destroyed by Israel under the hand of God. Isaiah 17:1 addresses Syria’s down fall and Ezekiel chapter 38 shows when Libya will be wiped out. If both of these leaders are tossed out now the next leaders who take their place will join in the Psalm 83 war and the Ezekiel 38 war. The bottom line is this. They are moving in the direction to fulfill the prophecies which haven’t taken place yet. Revelation 18:12 is the warning about items of important to the people living in the tribulation. Notice that gold and silver are listed as two of the items. Jesus warns that people will weep over the loss of these items when He takes them away from them. This shows us that these items will have become very expensive and that is why you are seeing unheard of prices of gold and silver. I have been warning people to watch the news because I believe silver will hit $150.00 an ounce. Today I read a report that shows why this may happen. “Gold and silver have surged to new record nominal highs in dollar terms (all time and 31-year) with the dollar falling sharply on international markets. Silver has continued to surge in all currencies and has surged to a new record nominal high of $46.25/oz (£27.85/oz and €31.54/oz) on growing rumours of a short squeeze involving a billionaire or state interest attempting to corner the silver market (see FT news story below). Traders and technically minded investors are firmly focused on silver’s record nominal high of $50.35/oz. Some with a longer term fundamental focus continue to see silver in triple digits if it is to match the real record highs of $130/oz seen in 1980. The inflation adjusted silver chart puts the present sharp rise in the all important historical context. Here is another example of the trend of violence in fast food restaurants. Yesterday it was a bunch of kids who beat, shot, and killer a young man, then you read about 20 teens on the train that beat up two Delta workers, today more violence from the youth. 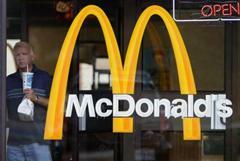 Today news entitled: Violence in another Mc Donalds almost kills customer . When I saw this video of two black females beating the hell out of a white patron, my heart was wrenched with sadness. It is for this reason Jesus went to the cross to free sin from men and women like this. The sadness comes knowing that if all of these people including the Mc Donald’s restaurant workers who allowed this beating to take place don’t someday repent from these types of acts, and received Jesus as their Lord and Savior, they will themselves be beaten sooner or later. Hell is for forever! I was so taken by the violence that I called the McDonald’s headquarters and demanded that action be taken against the McDonald workers who could have stopped the beating but instead laughed at what was going on and even told the girls beating the other girl to go now because the police are on the way. Let McDonald’s know enough is enough, and if people are not safe in their stores we can find another place to take our business. Stand up with me and call them today to let them know how you feel. 1-800-244-6227 call now! I know many of you are going to get really up set over this video but remember Jesus doesn’t want any of His children to perish. Pray for the kids in this video that the Lord saves them. This is what Christ wants from us. Today I was blessed by Christ and want to share what the Lord is doing. Below is a email I just received from Pastor Titus in Kenya. Jesus is making ways from my labor of love for him to get in the hands of many people. Yesterday Timothy was telling me that the US dollar is losing value and it is hurting the mission in Kenya. I wanted to make sure Titus’ team had enough money to be feed properly while on the mission to Sudan. I told Timothy I would send off $500.00 to make sure they had enough funds. Timothy said, he thought what we sent would do. Jesus has a strange way of getting things done His way because today Timothy told me he just got a check for $500.00 for the Sudan Mission! This brings the total to $5,600 for the mission. This is confirmation that Jesus is going before the team to prepare the harvest in Sudan. Get excited for the coming news from Titus. Pray for them even if you do not fast with us. Enjoy the weekend with Christ knowing that someday soon the Lord will take us home. I told you that we were waiting for my books to come out of Kenya's customs. When Titus had my books they would set the date to take off for Sudan. This Tuesday I meet with my prayers partners at Trinity Church. We asked Jesus to release the books for Titus. The last time I sent my books to Titus it was over a month before they were able to get out of customs. Timothy Moore who I have joined with to help Titus told me today that this was from God because it never takes this short of a time to make it out of customs. I am encouraged by this and we are all expecting some great things to happen in Suden with Titus and his team. The mission to Sudan will start with a departure from Eldoret Kenya on April 30 and conclude with a return to Eldoret on May 10th. So far the people who will be fasting are listed below. If you have committed to this fast take it seriously as it is very important that we follow through and that each day Titus and his team are witnessing for Christ in the field we have a least one person fasting each day. We have 17 people. I laid out a time to fast for each person. If you have any problems with the date let me know and I will try to change things but it may end up a nightmare, so if you can please stay with the date you have been given. I am sending Titus this list so he knows who is fasting for Him and his team. I have included your email address so Titus can e-mail you before he leaves for Sudan. Prophecy Sign: Genesis 12:3 the Lord’s curse on anyone who curses Israel. Do you remember my March 28, 2011 post where I show you how Britain and Germany had suffered from the Lord’s curse for trying to divide Israel? In that post I left out France as nothing had happen to them at that time . This is a quote from my March 28 post. “Britain, France and Germany want the United Nations and the European Union to propose the outlines of a final settlement of the Israeli-Palestinian conflict that would lead to the establishment of a Palestinian state, UN diplomats said. Some of you may have thought France got away with going against God’s will, not so. “http://www.haaretz.com/news/diplomacy-defense/european-countries-want-un-not-u-s-to-advance-mideast-peace-talks-1.351897. Now let’s take a look at what has happen specifically to France since that report. After reading today's news that France is supporting the PLO I can assure you that France is going to be in for a world of hurt soon. “After meeting French President Nicolas Sarkozy and Prime Minister Francois Fillon, Abbas told journalists that he had not raised the issue of Palestinian statehood with the president -- adding that France's position was clear. A source in the presidential office said that Sarkozy had given Abbas his "clear support" for efforts leading to the creation of a Palestinian state. Fillon said last month that 2011 "should be the year when a Palestinian state is created." If you live in France I will begin to pray right now because God isn’t kidding when He says He will curse anyone who comes against Israel. Watch France’s economy and some weird things like storms, flooding, or maybe worse diseases. Something is going to happen that I know. Honey, I am just going to the shop to get some milk, OK? Matthew 24:5 Jesus warned all of us that in the last days many would come saying they were the Christ. I quote Jesus, "For many will come in my name, claiming, 'I am the Christ,' and will deceive many." I can not believe how easy people today are falling for the lies. He is another one of those false Christs. Prophecy Sign: Matthew 24:7. One of the many last days signs is the sign of earthquakes. Japan rocked again today. TOKYO -- A 6.1 magnitude earthquake struck Japan late Thursday, shaking buildings in the capital Tokyo, the US Geological Survey said. The quake struck at 10:37 p.m. local time in Chiba prefecture 40 miles east of Tokyo, at a depth of 26.7 miles." The quakes so far today. Prophecy Sign: In Luke 21:25 we see the roaring of the seas and waves. These are the affects of huge storms and could also be a result of “great earth quakes that shift massive amounts of water causing what you saw in Japan and Asia in 2005. In the Old Testament and in Revelation 16:21 the Lord warns about the hailstones that will come. 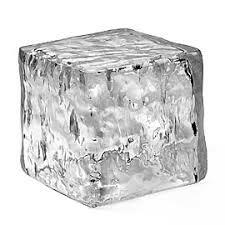 Revelation 16:21: “From the sky huge hailstones of about a hundred pounds each fell upon men. And they cursed God on account of the plague of hail, because the plague was so terrible.” As the storms get bigger you can count on the hailstones increasing in size as well. This year’s storms have already poured down some pretty big hailstones. Jesus also warns people will work all day long for a quart of wheat which shows us the price of food will have gone through the roof. When you read the prophecies you find that much of the crops will die off as a result of intense heat, droughts, insects, flooding, diseases, and as a result of nations at war. Reports like the one below are now becoming common because of all the weird weather we are seeing. In many cases the weird weather has made perfect conditions for new locust swarms. What is the latest situation? MP3 [573kb] . If you click to this link you will hear them say the conditions from the rain and temptures have brought on more problems as these conditions have increased new breadings of locusts and Australia will same more swarms in the new few months. In the Discovery News there is a report entitled “Strange Spring: Explaining This Year’s Wild Weather We’ve seen snow in the Midwest, wildfires in Texas and a surge of tornadoes across the country. What’s going on with the weather?” The writer of the report probably does know that many of the these written point to the same things Jesus warned us about. Here is a simple of this report. “Even though May is right around the corner, recent weather reports have been far from spring-like. Snow fell this week on Minneapolis and Green Bay. Record-setting cold has settled on Seattle. And historic wildfires are burning in Oklahoma and Texas, where temperatures in the 90s are threatening to topple heat records. Meanwhile, 272 tornadoes swept the nation in the first half of this month – already breaking the all-time twister-count for April. So, what's up with the weather? This year's La Niña started building late last summer and was mature by January, Arndt said. While the effect is beginning to weaken now, it remains generally strong, which helps explain why the Northwest, Northeast and Northern Plains of the United States, along with parts of Europe and Asia, had particularly harsh winters this year. It's also why many of those places are still waiting for spring to arrive. But La Niña, which is natural and cyclical, is not the only driver behind weird weather reports lately. For the last two years, for reasons climatologists do not yet understand, a strange pocket of warm air has lingered over the Arctic, Douglas said, making the dead of winter a full 10 to 20 degrees warmer than normal in Greenland and northern Canada. The bubble has displaced cold air southward. "If you leave the refrigerator door open, you warm up the refrigerator, and all that cool air kind of spills on to the floor," Douglas said. "That's what's happened." On top of all that, a general rise in global temperatures has boosted levels of water vapor in the atmosphere by four percent, Douglas said. That basically loads the dice for more storms to form. Meanwhile, Twitter and Facebook can accentuate and accelerate the sense that severe weather is worse than it is. Keep in mind, these signs are only part of the entire prophecy picture. While we see these signs we are also witnessing all the other signs Jesus told us to look for. This has never happened with any other generation except ours, which by the way is what Christ warned about our generation. The newest NOAA report adds to what I have been trying to show you. And here we go. Here's the first special tropical weather outlook from the National Hurricane Center in Miami, for the north Atlantic, Caribbean Sea and the Gulf of Mexico. Let’s take a closer look at Luke 21:25. “And there shall be signs in the sun, and in the moon, and in the stars; and upon the earth distress of nations, with perplexity; the sea and the waves roaring;” Today’s news show some of the distress Columbia is now in as a result of a massive storm. The report will speak for me! If I had a dollar for every news report I have read over the years saying there has never been a tragedy of this scale in our history I would be able to print all “The Last Chronicles of Planet Earth” books I every needed to hand out for free! The storms are coming faster and harder as the global climate changes. These are part of the birth pains Jesus warned us about. If you are in Columbia I ask you this question. Do you believe Jesus words now concerning the distress of nations, with perplexity? Watch the video at the link below. During the 7 year tribulation people will become like animals. What we are seeing today is nothing to what is coming when Jesus removes the Church from this world. The only thing holding Satan back is the works of the Holy Spirit. Read 11 Thessalonians 2:5-8. “Do you not remember that when I was still with you I told you these things? And now you know what is restraining, that he may be revealed in his own time. For the mystery of lawlessness is already at work; only He who now restrains will do so until He is taken out of the way. And then the lawless one will be revealed, whom the Lord will consume with the breath of His mouth and destroy with the brightness of His coming.” Where is the Holy Spirit today? He is in every real believer that has taken Jesus Christ as their Savior! When Jesus removes the Christians who are filled with the restraining force of the Holy Spirit all hell will break out on Planet Earth like never seen before. I am writing this for all of you who think this is a joke and think this will never take place. When this rapture event happens you will remember what you were told, and at that point you will have to make a decision to follow Jesus Christ and be hunted down for not taking the Antichrist’s mark in your hand or forehand, or take his mark and seal your eternity in the lake of fire. When you see millions upon millions of people worldwide have vanished don’t believe the lies you will be told as to where they went. This no doubt will be the lie that Satan comes up with to explain the disappearance. What about the falling away of faith as Jesus warned us about prior to the Antichrist. Read 2 Thessalonians 2:3. “Let no one deceive you by any means; for that Day will not come unless the falling away comes first, and the man of sin is revealed, the son of perdition”. I must confess I do not follow the Pope as the Word of God is clear that there is only one Holy Father and He is Jesus Christ not the Pope. However, to bring the word of God to light concerning the falling away from the faith even the Pope addressed this today. I quote from a report entitled: Pope warns of falling belief in West” . 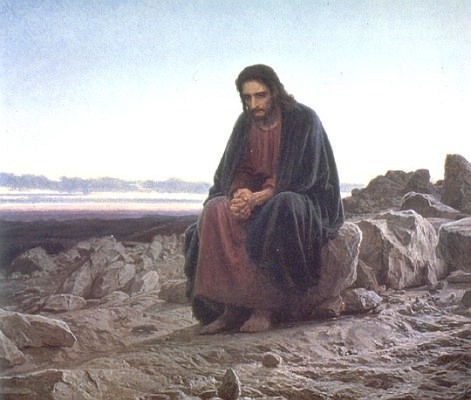 “Pope Benedict lamented the widespread abandonment of religion in Western countries at a Holy Thursday ceremony, saying the headlands of Christianity were turning away from their faith.” The article points out one of the reasons why the Catholics have seen a drop in faith. “The leader of the world's 1.2 billion Catholics has had a difficult struggle to rebuild the image of the Church after a scandal over the sexual abuse of children by priests reported in several countries.” If I were you I would stop looking for religion right now and start a personal relationship with Jesus Christ. There are people all over the world in slaved in some form of religion or another but they do not know God in that personal way. This is the part where Jesus tells you pick up the cross and follow Him. Here’s a fact that you will need to understand if you choose not to walk with Christ. The biggest religion of all time is about to be unfold via the false prophet and the Antichrist. When the Church is raptured a new so called world faith, (religion) will begin, this is the false Church Jesus warns us about in Revelation chapter 17. Prophecy Sign: Yesterday I gave you many signs that America is declining as a superpower to give way to the last world empire that will fall in the hands of the Antichrist as seen in Chapters 2 and 7 in the Book of Daniel. America is not found in Daniel’s book which tells us the US will fall away as a power in the last days and that is what is happening. 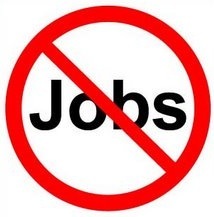 Since 2007 I have warned you to keep looking at the news because if you do you will see hundreds of thousands of Americans will keep losing their jobs. While the so called experts from the government have kept up their lies telling you the US economy is coming back, each month the truth can be found in the number of Americans who are watching their dreams collapse with the economy. Since President Obama is doing what he can to divide the land of Israel don’t expect the American economy to come back anytime soon! The more he pushes for a PLO State inside of Israel the worse things become. If Obama stays on the present cross and goes along with declaring a PLO State in September with the UN nations, America will face some natural disasters that will wreak the weak economy even more than it is now. Think warning about this in Genesis 12:3, Joel 3:2, and Zechariah 12:3 is a joke? Watch the news with me and you will see God means business when it comes to Israel. As long as I mentioned Zechariah’s last days warning, take a look at what France is now considering. “French President Nicolas Sarkozy hosted Palestinian leader Mahmud Abbas in Paris on Thursday as Europe reflects more and more openly on the prospect of recognizing an independent Palestine. Any French move to welcome a Palestinian state into the community of nations would be made jointly with the European Union, and would be seen as an attempt to give a jolt to the stalled Middle East peace process with Israel. Abbas was due at the Elysee Palace later Thursday, having said he is seeking Sarkozy's advice on the Palestinian Authority's drive to convince the world to accept its statehood even ahead of an ever elusive peace deal. Thus far, most world powers have been reluctant to recognize Palestine before it becomes a viable entity within agreed borders, but now some are starting to think recognition could revive the stalled search for peace. "It's a question we must reflect upon and upon which we are reflecting. It will be asked in September or October," France's Foreign Minister Alain Juppe told reporters at a diplomatic lunch on Tuesday.” As I watch nation after nation that used to be close friends with Israel begin to pull away form Israel I begin to think, is it possible that if all the nations proclaim a PLO State in September will not only the US economy collapse but the entire world financial system as a result of the Genesis 12:3 curse? At this point I think anything is possible. Here’s the bottom line. Zechariah’s warning is coming to pass and before long you will be reading news that Israel has been left alone to defend for yourself. The Forestry Commission has issued a caution not to touch the caterpillars of the oak processionary moth. Their hairs contain a toxin that can cause itchy skin rashes as well as eye and throat irritations. 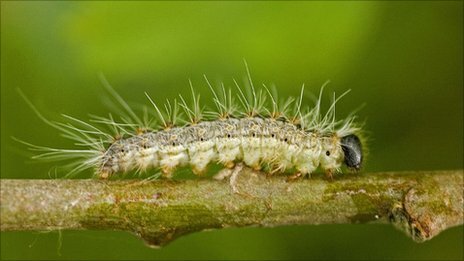 The Forestry Commission's Stewart Snape said residents can report sightings but that the caterpillars should only be removed by pest control operators. Officials are now dealing with outbreaks of the moth in Pangbourne in West Berkshire and the London boroughs of Ealing, Brent, Hounslow, Richmond upon Thames and Hammersmith & Fulham. Health Protection Agency director Dr Brian McCloskey said: "We strongly advise people not to touch or approach the caterpillars or their nests because of the health risks caused by the toxin-containing hairs. "Pets can also be affected and should be kept away as well". I am asking people to join with me in fasting while Pastor Titus' team is in the field in Sudan. So far 4 people have said they will fast when the team in Kenya heads out for Sudan. So far Dave Shadow, Clint McKean, Peter Matias, Constance Gellington, Bridget Yorke, Antonia Giunta, Pam J., Cherly Boucher, and Douglas Gable will be fasting. Will you join us? Email me a fjdimora@gmail.com. Prophecy Sign: In Daniel chapters 2 and 7 God shows Daniel all the world empires that would rise and fall from the time Daniel was living all the way to the second coming of Jesus Christ. No where is America seen as a world empire! This leads us to one conclusion. Something major must have happen to remove a major superpower out of the way to give rise to the One World Empire that the Antichrist will control. For the past 5 years at my prophecy site I have warning you how the US would lose its number one place on the world stage. I have been warning you that the US dollar will move over to another form of currency. All I can do is sound the warning in hope that Americans like the Chinese will get ready for the day the dollar falls! I hope this you will see this connect via this report today. First read the current news below. Prophecy Sign: Matthew 24:7 the sign of wars and rumors of war. “After giving up on US and Israel ever confronting Iran, Saudi Arabia has gone out on a limb against the Obama administration to place itself at the forefront of an independent Gulf campaign for cutting down the Islamic Republic's drive for a nuclear bomb and its expansionist meddling in Arab countries, debkafile's Middle East sources report. Two US emissaries sent to intercede with Saudi King Abdullah – US Defense Secretary Robert Gates on April 6 and National Security Adviser Tom Donilon, who arrived in Riyadh six days later – were told that Saudi Arabia had reached a parting-of-the ways with Washington, followed actively by Kuwait, Bahrain and Oman. Abdullah said he could not forgive the Americans for throwing former Egyptian President Hosni Mubarak to the wolves in Cairo and for the unrest they were promoting against Arab regimes. Saudi Arabia was therefore determined to lead the Gulf region on the road to a confrontation with Iran – up to and including military action if necessary – to defend the oil emirates against Iranian conspiracies in the pursuit of which the king accused US-led diplomacy of giving Tehran a clear field. Monday, April 18, the foreign ministers of the Gulf Cooperation Council, GCC, asked the UN Security Council to take action for stopping Iran's "provocative interference in their countries' domestic affairs." This "flagrant interference" posed a "grave security to, and risked flaring up sectarian strike, in the GCC countries." Remember what Rev. 18:12 says about the gold and silver? "In a word, sensational. Everything's feeding into this -- sovereign debt, the weaker dollar, inflation and investment demand. It is unusual to do it in Asian time. It goes to show how much appetite there is in Asia for bullion. "We often see a $20 rally after breaking a big number, then a pullback. We will see what Europe and United States do with this -- $1,510 or $1,520 look possible, but prices are starting to look a little stretched up here." “In case you missed it, earlier this week China announced that its foreign currency reserves are excessive and that they need to return to “reasonable” levels. In politician speak, this is a clear, “we are sick of the US Dollar and will be taking steps to lower our holdings.” Remember, the US Dollar is China’s largest single holding. And China has already begun dumping Treasuries (US Debt). This comes on the heels of China deciding (along with Russia) to trade in their own currencies, NOT the US Dollar. Not to mention the numerous warnings Chinese politicians have been issuing to the US over the last 24 months. In simple terms, China is done playing nice and is now actively moving out of US Dollar denominated assets. This is the beginning of the US Dollar’s end as world reserve currency. The dimwits in Washington don’t understand this because their advisors are all Wall Street stooges who don’t think debt or deficits matter. After all, why would they? Their entire business model is now based on endless cheap debt from the US Fed. So it’s only logically (in their minds) that the US as a sovereign state engage in the same strategies. What does this mean? We’re on out own in terms of preparing for what’s coming. The US Dollar has already taken out its 2009 low in the overnight futures session. We now have only one line of support before the US Dollar breaks into the abyss (all time lows). In my post dated September 18, 2008 I warned you about China dumping the US dollar. In my report I cited two news articles about how China and India have begun to dump the US dollar. First read the short sections from those reports and I will connect the dots for you. “In the meantime, China and India--which boast rapidly growing economies, in large measure due to U.S. "outsourcing"--are building an anti-U.S. economic front. "India, China and other countries have started dumping [the] U.S. dollar quietly and buying euros," reported the November 27 India Daily. "That put very serious pressure on the dollar.... [T]here are many other countries, especially oil-rich Middle Eastern countries, running away from [the] dollar." Now let me connect the dots for you. After you read the Jan. 7th report you will see they made the connect very clear. In any case, Nations like Russia, China, and India are well aware that the US dollar will die. As a result they began to buy up as much Gold and Silver as they could. 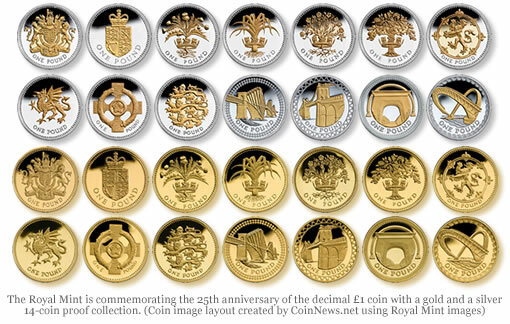 These nations know the real value when the economy falls will be in gold and silver. As such they are not only buying up as much as they can but they are also telling their people to do the same thing. While citizens of these nations are preparing for what is to come, via the dollar failure, Americans are sleeping thinking that everything will be fine and their economy will bounce back like always. Not this time folks. There has been a great deal of talk in the news about nations buying up gold and silver, and for those of us who know the warnings of Jesus Christ, we know that the prices of these metals will skyrocket. See Revelation 18:12. Jan. 7, 2010: “India is no longer the elephant in the world's gold dealing rooms. The Dragon has edged it out. In 2009, China bought more gold than India, making it the world's top consumer. China pipped South Africa in 2007 as the world's largest gold producer. Revving up production to take advantage of record prices is understandable. But why have the Chinese suddenly fallen in love with gold? And does this affect the price we pay? ET helps you join the dots. China is buying gold for the same reason we buy life insurance policies: peace of mind. The Chinese government has a kitty of over $2 trillion, mostly greenbacks. Unfortunately, Beijing is not terribly fond of this currency right now. It believes the dollar may well become a dud, given Uncle Sam's economic troubles. So, it wants to stock up on something whose value does not change with one country's policy moves. Gold fits the bill. Since 2003, Beijing has been buying most of the gold excavated and refined locally. It was a perfect strategy. No one in the international market became the wiser and the bill was paid in yuans. Today, China has more than 1,000 tonnes in its official vaults, up 75% in six years. Its gold reserves are now the fifth-largest among national central banks after the US, Germany, France and Italy. This insurance helped mandarins in Beijing sleep easier at night. America wake up and believe in the Word of God. America is about to roll over and in doing so it will speed up the final last days prophecies. The US leadership does not have control of the dying economy and all they know is to keep running up the debt. Look at today’s news. The day is coming when you will wake up and find out that the US dollar you have been saving in your banks is worthless! When this day comes you will know that the Antichrist’s kingdom is coming! The world’s financial system will be in chaos and the world will demand, and call for someone to take them out of the crisis. The door will open and the Antichrist will take his last days position. If you did not get a chance to hear Lindsey Williams warn that gas prices would skyrocket you better take the time to watch this video as today there are signs pointing to 6.00 a gallon for gas. Pay attention to what Williams says at the 9:41 minute mark in the video. Many of you will still not receive this message but you will see every word Jesus warned us about come to pass. I want you to keep this in mind. While the world’s economic outlook is on the verge of a massive change it appears a showdown between Israel and the world is also emerging at the same time. This is not a coincidence! We know from Daniel 9:27 that the Antichrist will make a 7 year covenant with Israel. We know that this covenant will come as a result of war. This is why I have taken so much time to warn you about the Psalm 83 war and the Ezekiel war. The world’s fuse in prophecy has been lit and you can expect the birth pains Jesus warned us about in Mark 13:8 to get much worse from here on. If you haven’t received Jesus as your Lord and Savior, do it today. If you don’t I promise you, you will not be ready for what is about to take place! As long as I have brought you back to see what I have been warning you, in light of everything that has happened, you better watch this video I posted from 2009, because this is exactly what I have been trying to get across to you. We are much closer to this taking place! As long as I have mentioned the next wars against Israel, I hope and pray this news today will give you a much clearer picture of what is coming. The headline today from The Jerusalem Post reads like this: “Security and Defense: Preparing for war on all fronts”. Keep in mind that when you read Psalm 83 this is what we see taking place against Israel. Israel in general is not a very religious nation and the chances of them not even believing God’s warning in Psalm 83 are probably high. In any case, they may not know this but they are in fact getting ready to see the Psalm 83 prophecy from God come to pass. The report today stated, “The IDF has drawn up a comprehensive multi-year strategy; planners hope their prudence will help protect Israel from all fresh dangers.” The report is long but in short what you will read is that Israel is getting ready to fight the same enemies as outlined in the Psalm 83 war. 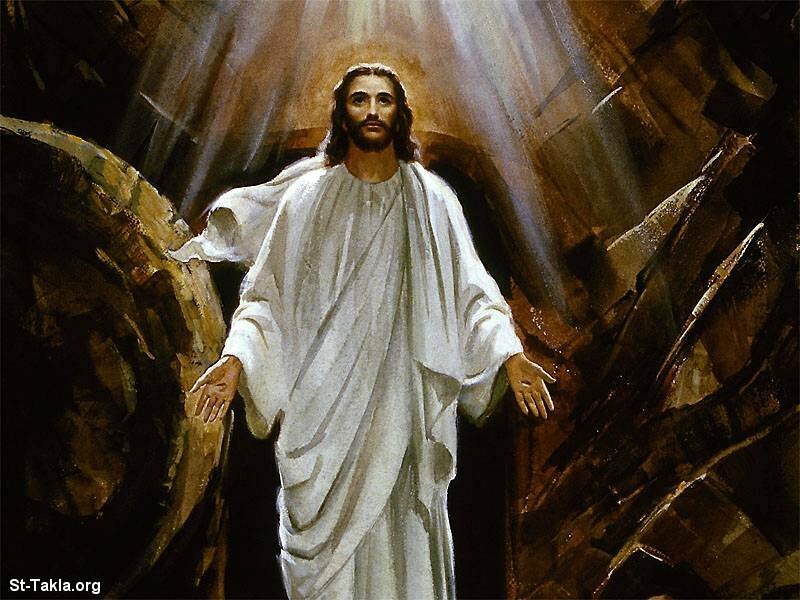 As the Lord's resurrection day is approaching let us not forget what the Lord went though for us. Prophecy Sign: I am going to combine Daniel 12:4 and Revelation 13:16-17 here because I can see what is coming. First of all, Daniel 12:4 is a warning that our generation would be known as the generation that would increase in knowledge. This prophecy has already come to pass. Revelation 13: 16-17 is a warning from Jesus that the Antichrist will mark everyone in their right hand or forehead. Those who do not take the mark will be hunted down and killed. There are many ways in which our increase in knowledge will make it very simple to track down any person who refuses to take the Antichrist’s mark. Say for example you are on the run and there is a road block. With the new high tech forenisics device the Antichrist police could see everything you have been doing via your phone. Did you call someone else who is also trying to hide from the Antichrist? Did you receive a text letting you know where believers who are left behind after the rapture will be meeting? Nothing will be out of the reach of the Antichrist and this is only one device that will be used! Read this news. “ACLU seeks information on Michigan program that allows cops to download information from smart phones belonging to stopped motorists. 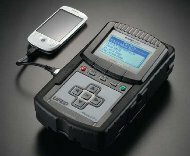 The Michigan State Police have a high-tech mobile forensics device that can be used to extract information from cell phones belonging to motorists stopped for minor traffic violations. The American Civil Liberties Union (ACLU) of Michigan last Wednesday demanded that state officials stop stonewalling freedom of information requests for information on the program. ACLU learned that the police had acquired the cell phone scanning devices and in August 2008 filed an official request for records on the program, including logs of how the devices were used. The state police responded by saying they would provide the information only in return for a payment of $544,680. The ACLU found the charge outrageous.” "Complete extraction of existing, hidden, and deleted phone data, including call history, text messages, contacts, images, and geotags," a CelleBrite brochure explains regarding the device's capabilities. "The Physical Analyzer allows visualization of both existing and deleted locations on Google Earth. In addition, location information from GPS devices and image geotags can be mapped on Google Maps." All I can say is, good luck to all of you who will be left behind. Most of you will not make it through the entire tribulation. Fact is, Jesus tells us that unless the days are cut short no one would make it alive! You best road to safety is in the arms of Jesus Christ right now. This has to be among the greatest cover-ups in American history. Donald Trump has of late been questioning Obama’s birthplace. Chiyome Fukino, I am sure knows Obama is covering up the facts about his birth home. For Mr. Trump and anyone else who questions Obama you need to hear it from Obama himself that he was not born in the US. “HONOLULU (HawaiiNewsNow) – There is evidence to refute the claim that President Barack Obama was not born in Hawaii, and therefore is not eligible to be president of the United States, but "birthers" persist with their claims that Obama is in office illegally. Donald Trump is the latest to question the president's birthplace. Former state Health Director Chiyome Fukino has said several times she has personally inspected President Obama's birth certificate twice. In an interview earlier this month she said claims Obama was not born here are "ludicrous" and "silly." Watch video and you will see and hear Obama say he is not a citizen of the US. Prophecy Sign: 2 Timothy 3:1-5 “This know also, that in the last days perilous times shall come. 2For men shall be lovers of their own selves, covetous, boasters, proud, blasphemers, disobedient to parents, unthankful, unholy, 3Without natural affection, trucebreakers, false accusers, incontinent, fierce, despisers of those that are good, 4Traitors, heady, highminded, lovers of pleasures more than lovers of God; 5Having a form of godliness, but denying the power thereof: from such turn away.” Read the news below and watch the news video at the link and you will see an example of what Jesus warned Timothy. “MARTA police said they were investigating the incident. A witness said he watched the violent attack unfold Sunday. "We were intimidated. Everyone was terrified. People were trying to run, but there was nowhere to run," the man, who requested anonymity, told Channel 2's Erica Byfield. Around midnight, a MARTA train pulled up to the Garnett Station in Downtown Atlanta, authorities said. The witness said up to 30 people boarded the southbound train. "Once the doors opened, it was like a bum rush of people," he told Byfield. "The next thing you know, they started just beating him. There was blood everywhere. People were hollering and screaming," he said. A MARTA police report identified two victims as Delta Airlines employees. The report said one victim had a soda can smashed in his face and his wallet stolen, while the other was punched repeatedly in his face. The witness said the attackers were teens chanting "B. F. P. L."
"I don't know if that's a gang," the witness said. By the time the train made it to West End stop, some riders were desperate to get off, but the car doors would not open, the witness said.